Some sort of aftermarket solution for an 850 series wagon cargo area - dog gate barrier. In England. Maybe around 60-70$ to ship to you. Dunno additional import tax. Another gate / barrier, universal, and also in England. 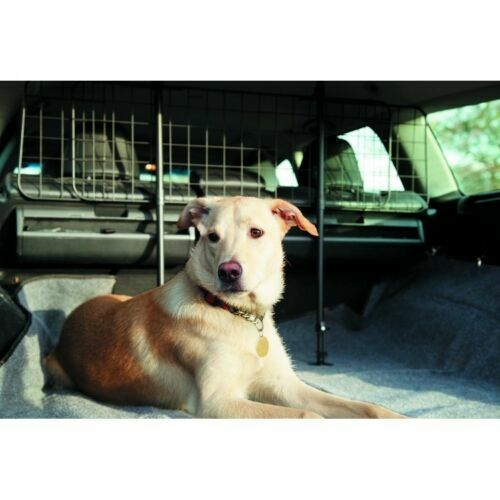 "HEAVY DUTY TUBULAR DOG PET GUARD BARRIER FOR VOLVO 850 (1992-1997)"
I'm not finding OEM dog gates for 1993-1997 850. I'm unsure whether the first year or two V-70 would fit. Searches suing Bing and Google do not turn anything at all.